On August 24, 2018, APSCF organised a follow-up meeting for the Children’s Consultation Workshop addressing the advocacy campaign “Children are Defenders of Human Rights”. The meeting was attended by members of the APSCF’s Coordinating Council and children’s representatives, who discussed the objectives, the central messages and the actions of the campaing planned to be deployed by APSCF in the following months. The group of children detailed the conclusions they reached during the above mentioned workshop, and, guided by the members of the Center for Information and Documentation on Children’s Rights in Moldova (CIDDC), spoke about the opportunities and the challenges they are facing when acting as defenders of human rights. An important role is played by the education and the attitude of the family on this subject, but also the support and the encouragement of the adults from the children’s social groups. Obstacles that children are facing while acting as human rights defenders are generated by a restrictive access to information, and by a lack of motivation and support from the adults who do not take their opinions and personal experiences seriously. The children identified 4 fundamental institutions as potential referrals who could actively engage in facilitating children’s role as human rights defenders: the City Hall, the day care centers, the school and the Ministry of Education, Culture and Research. They also suggested, as recommendations for these institutions, to carry out informative activities focusing on children’s rights, to encourage children’s to speak about their needs and their views on various living situations, to promote models of child involvement in decision making etc. From the key messages proposed for the advocacy campaign, we mention: “It’s cool to listen to the voice of the child,” “You can also be a super-defender of Human Rights / Children’s Rights,” “Human Rights have no age, children still have them” etc. 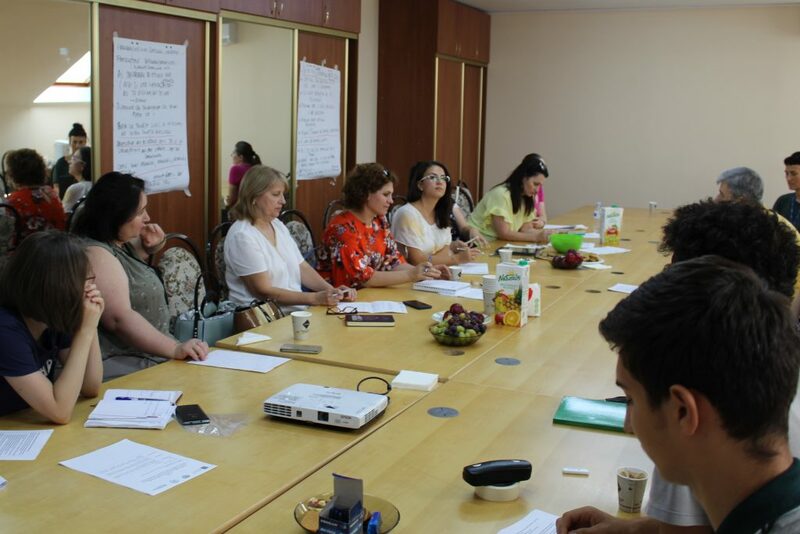 The members of the APSCF’s Coordinating Council expressed their approval for the concept of the campaign, encouraging the capitalization of children’s experience in solving the challenges of the system and combating existing stereotypes. Be up to date with the materials and activities that we will carry out during the advocacy campaign “Children are Defenders of Human Rights” and follow our social channels. The Children’s Consultation Report can be accessed HERE.